Lack of Christmas Markets in Dublin in 2016? 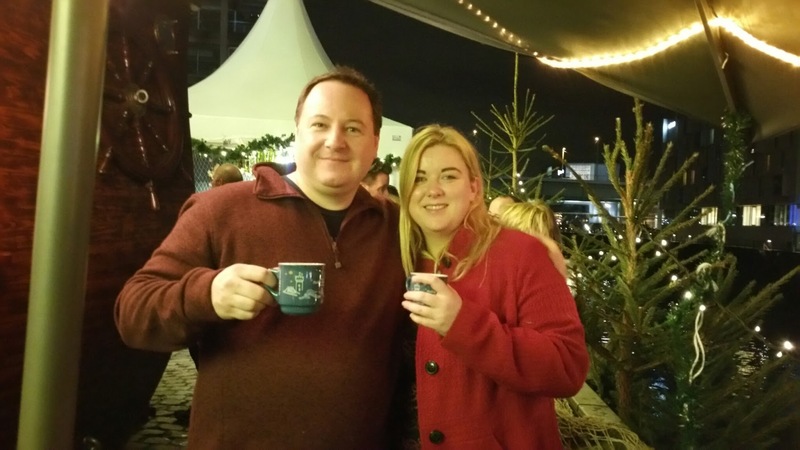 Last year, my partner and I went to Cologne for the Christmas markets of which there are many. We also went to the I Believe Christmas market in Dublin which was pretty good but not a patch on Germany. Keeping it Irish, we went to Belfast also where they had a pretty impressive Christmas market. Christmas markets in Dublin have been hit and miss over the years. The best one I can recall was about 10-12 years ago at Smithfield where an outdoor ice rink and Christmas market was running for a few weeks. Cologne has at least 6 established Christmas markets and I think we visited 5 of them last year. Greater Cologne’s population is 3.5million compared to Dublin’s 1.9m so it makes sense for Cologne to have more Christmas markets, added to the fact that the population of Germany is many times that of Ireland. That said, a city the size of Dublin should be internationally known for Christmas markets and draw tourism as a result. Last year, I visited the main one in Belfast and Dublin and the Belfast one was just more of what I expect from a Christmas market. The Dublin one at the docklands area was good but it just seemed to be lacking charm. This year, the usual Belfast Christmas market takes place at the beautiful city hall as usual but the Dublin one has moved indoors to the CHQ building. Why? The idea of a Christmas market is to be outdoors, drinking hot chocolate or mulled wine to keep warm. It’s just not going to be the same indoors, you might as well go to a shopping centre instead. I think the one down at The Point Village is also indoors. I was at another on at Farmleigh in the Phoenix park at the weekend. It was half the size of last year. In fact, other than a few craft stalls, everyone was selling food. The only thing we bought was some cake and one enterprising florist selling stalks of decorated cabbage for €2 each or 3 for €5. They were beautiful and interesting so I bought 3 for my mother. Market aside, there was plenty of Christmas stuff going on around the grounds, perfect for a day out with the kids. This Saturday, we will be heading to Galway for the day. I was at the Galway Christmas festival years ago and it was very impressive. It was at least as good as anything in Cologne from memory so I’m hoping for a similar experience on Saturday so fingers crossed. 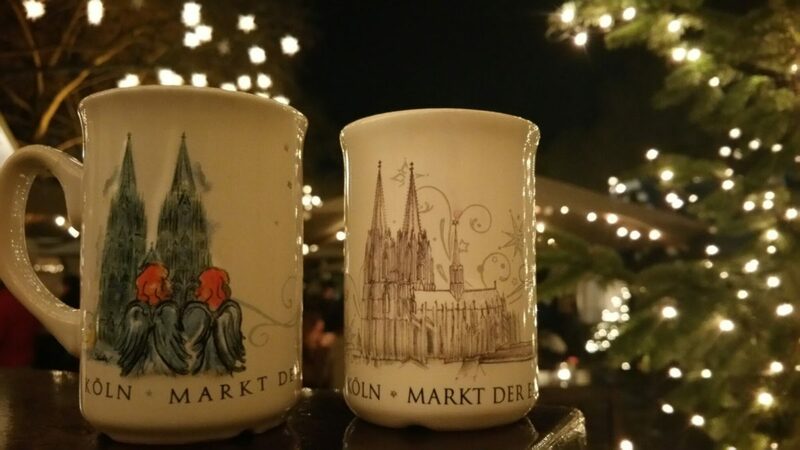 One of the best things about Christmas markets in Germany is that each one has a different collectable mug for mulled wine. You usually pay a €2 deposit and can get it back if you return it. Or keep it and add it to a collection. We picked up quite a number of them last year, sometimes we were able to find ones from previous years so kept hold of them too. That’s not something that seems to happen in Dublin. I think one year they had them at Belfast but I didn’t see any last year. It’s a small thing but it’s something that Germany and other European countries do so well. Could we not get a good sized one going in Dublin? We have the perfect place too! The grounds of Trinity College get a lot of foot traffic. I reckon a Christmas market running there would work brilliantly. There would even be available catering facilities to wash special mugs for re-use for those to decide not to keep theirs.